PortXL has named the 11 port-related start-ups that have secured a place on its 2017 accelerator programme. Rotterdam-based PortXL works with leading companies and individuals around the world to support technological innovation in the transport and logistics, energy, chemical and refinery, and maritime sectors. This is achieved through the award of an intense mentorship-driven programme with input from founders, investors and corporate partners to prepare the chosen start-ups for market launch in 100 days. This year’s 11 will have access to a wide variety of companies in the Port of Rotterdam, office space, test facilities and all the knowledge of the Port Authority. 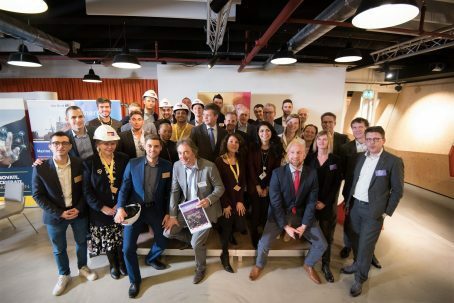 A team of specialists from EY, Rotterdam ort Fund, Rabobank and Innovation Quarter will coach them over the next three months on areas such as finance and investment. New this year is the cooperation between PortXL and Symbid, a crowdfunding platform specialising in the financing of innovative companies. Together, they aim to make it easier and more efficient for start-ups from PortXL to raise capital by presenting them to a large group of potential investors through this platform. The start-ups will each give a presentation at the culmination of the programme on June 22.